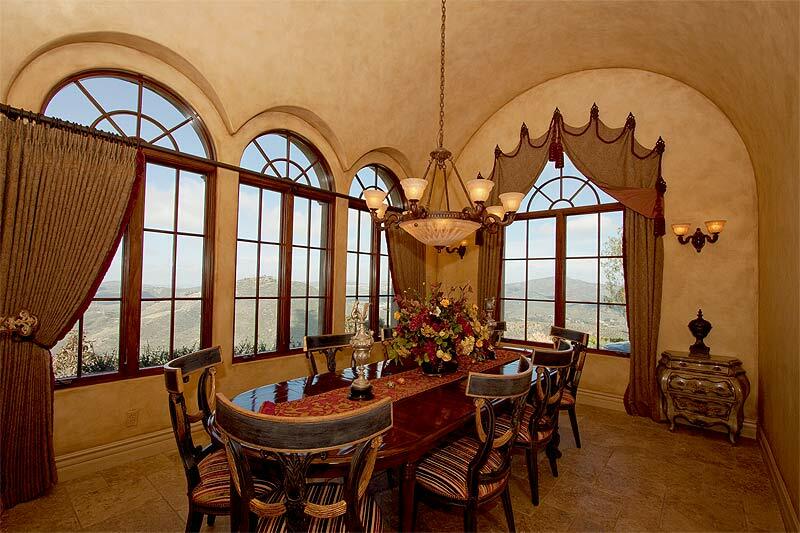 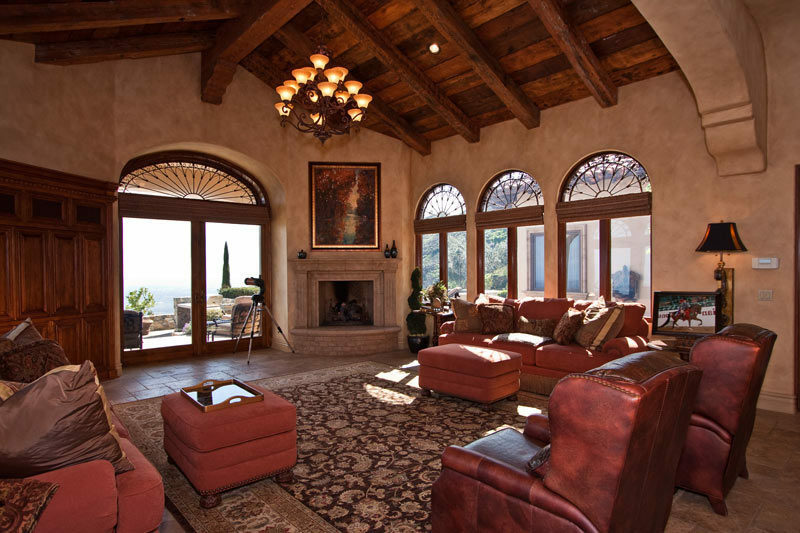 Tuscan style home in Rancho Cielo Estates. 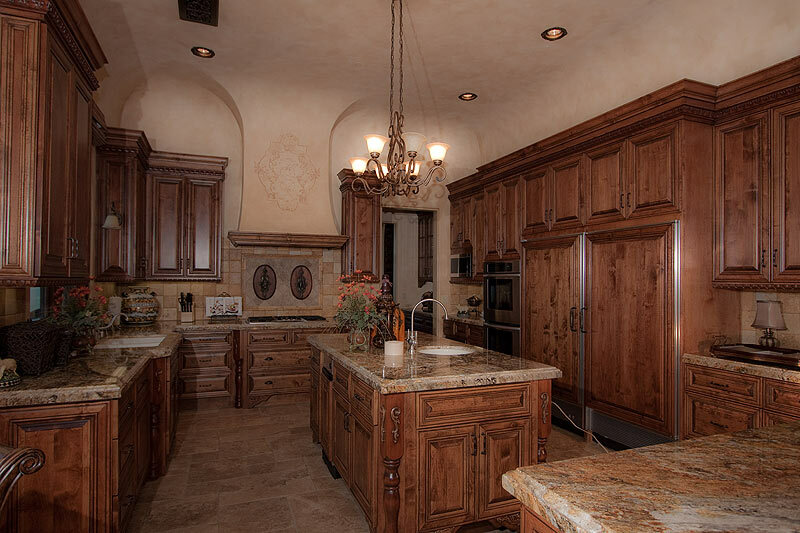 This home features finishes throughout the house with an emphasis in the kitchen, dining room, master suite and powder room. 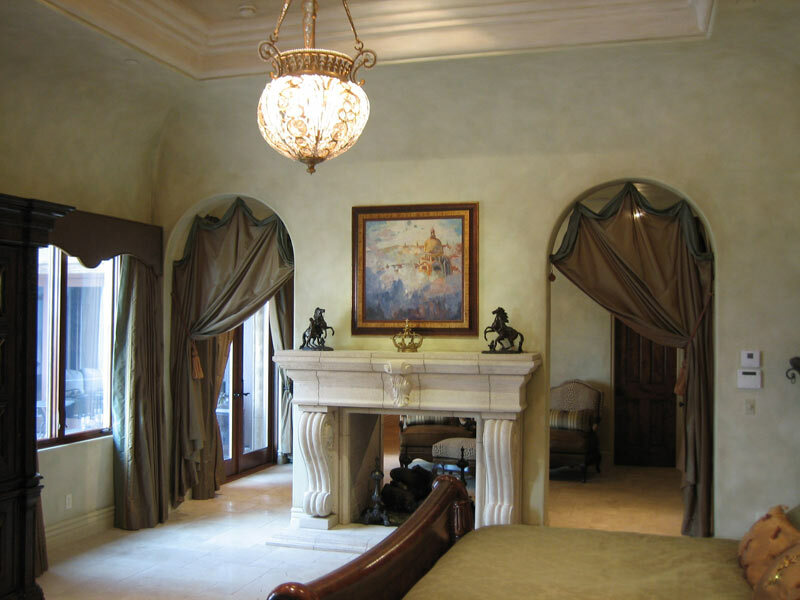 In the master suite we used a soft, mediterranean blue green color scheme creating a relaxing spa like feel. 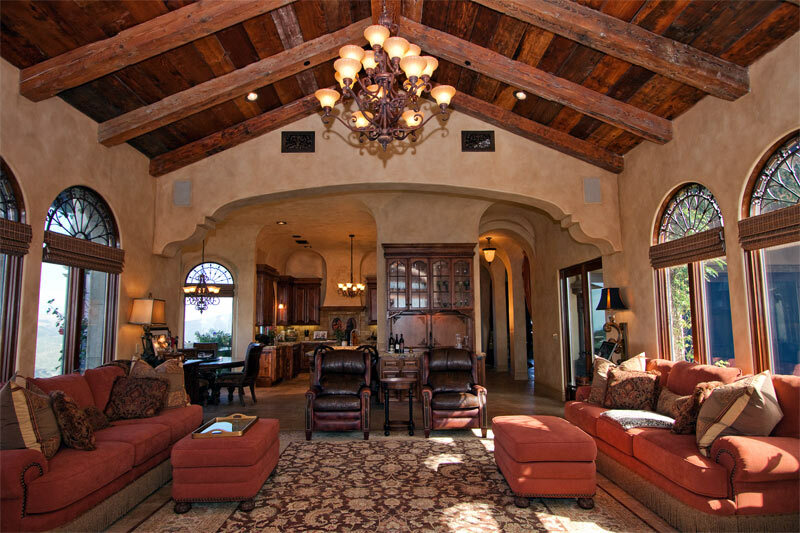 The common area walls were given a two color tuscan wash with a smoky color aging in the corners and at the ceiling. 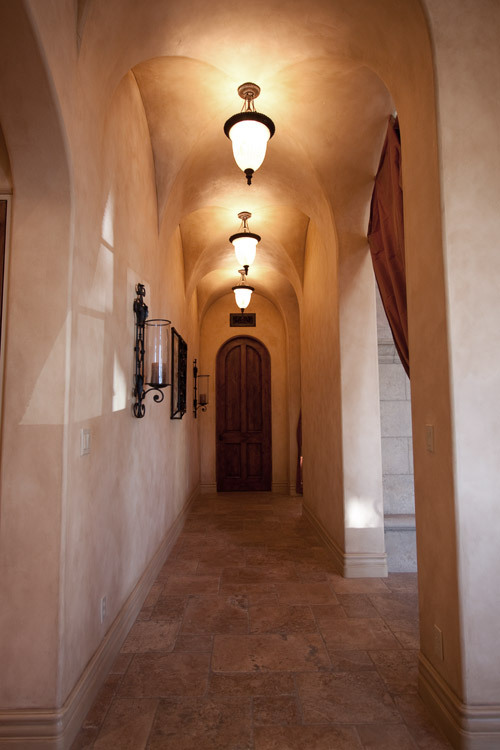 The common areas have a rustic tuscan hand finished color wash. 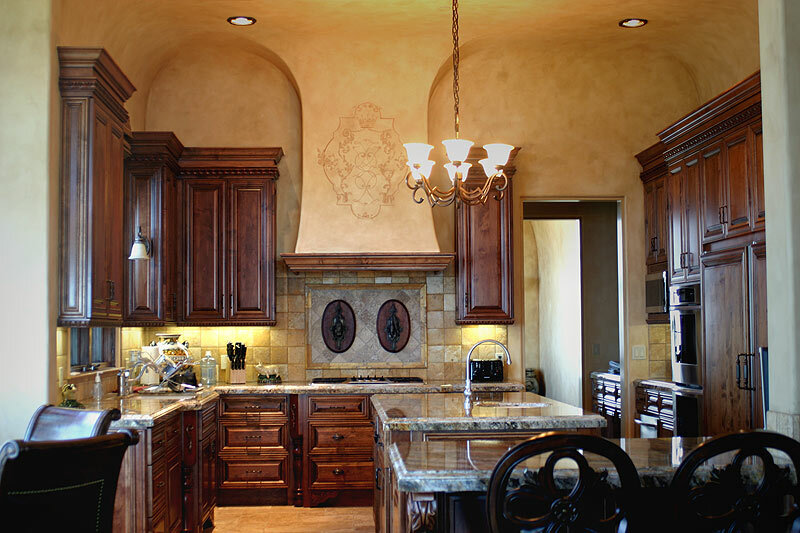 The kitchen hood was highlighted with custom designed crest. 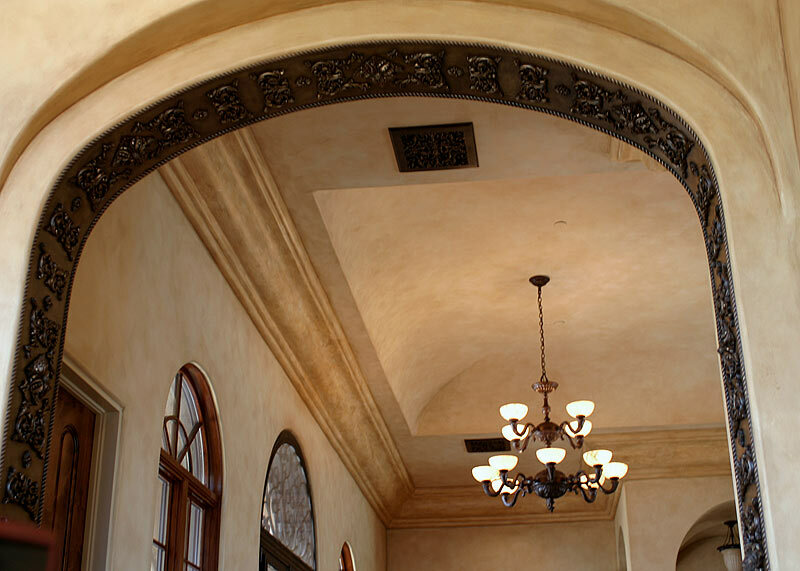 We used a golden pearl glaze in the dining room to give the walls a glowing luxurious feel to the room. 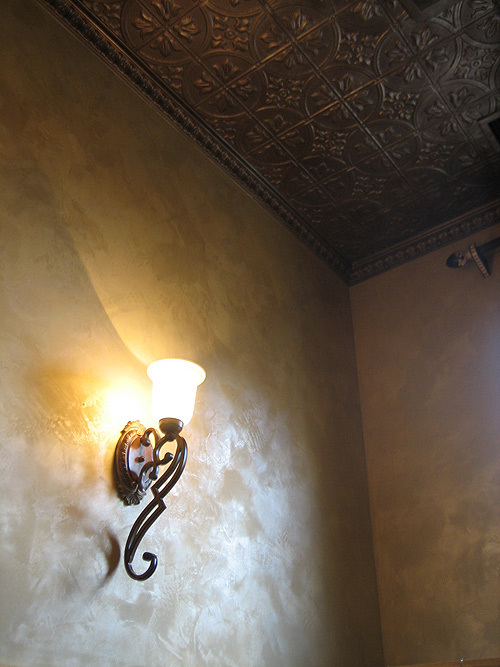 The guest powder bathroom was accentuated with a two color, troweled on metallic plaster by Modern Masters.